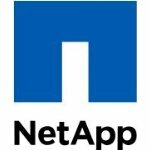 Leading organizations worldwide count on NetApp to transform isolated, incompatible data silos into a cohesive, well-integrated fabric that seamlessly connects all of their cloud environments. Customers value our teamwork, expertise and passion for helping them succeed now and into the future. We enable enterprises and service providers to envision, deploy and evolve their IT environments through open collaboration with other technology leaders.